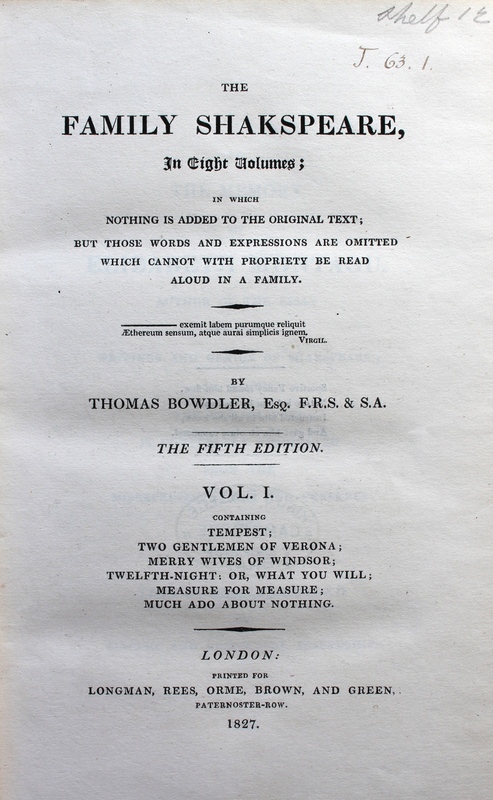 According to the OED, the etymology of the verb “to bowdlerize”, meaning “to expurgate (a book or writing), by omitting or modifying words or passages considered indelicate or offensive”, comes from Thomas Bowdler (1754-1825), “who in 1818 published an edition of Shakespeare, ‘in which those words and expressions are omitted which cannot with propriety be read aloud in a family’”. 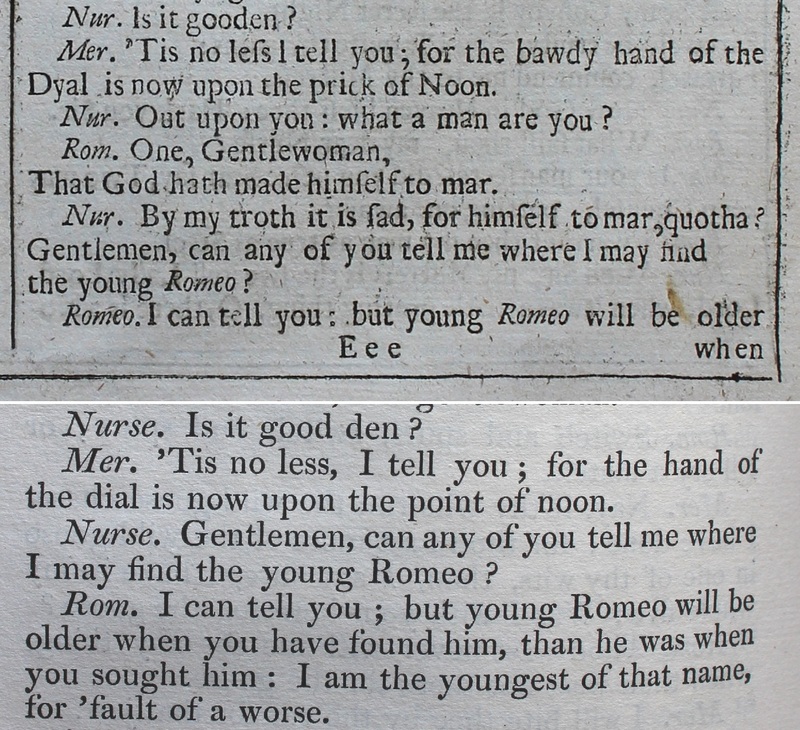 Spot the difference: Mercutio’s “the bawdy hand of the dial is now upon the prick of noon” has been changed to “the hand of the dial is now upon the point of noon”. 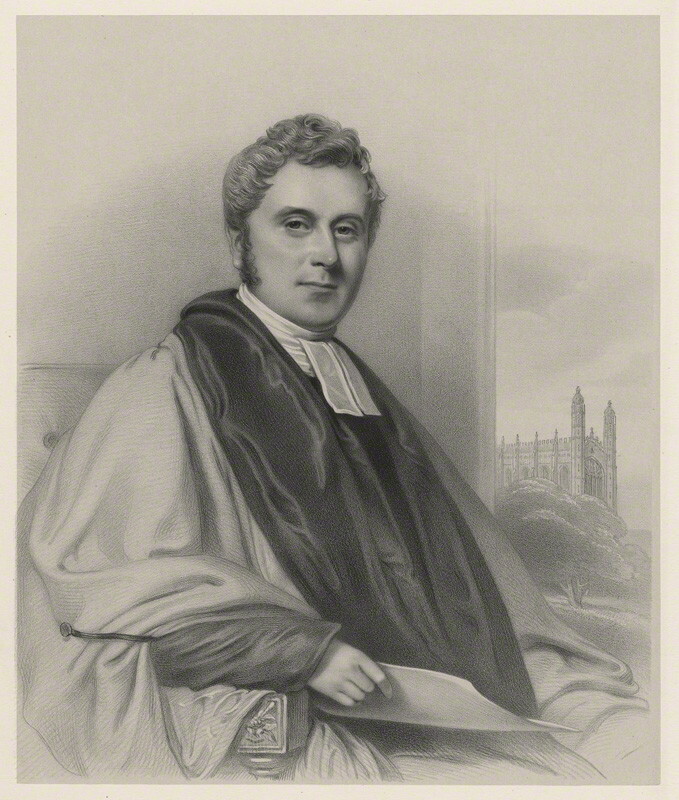 Thackeray’s obituarist writes that “In his discipline generally there was something of almost Roman firmness … Yet under the rigid manner lay the kindest sympathy”. 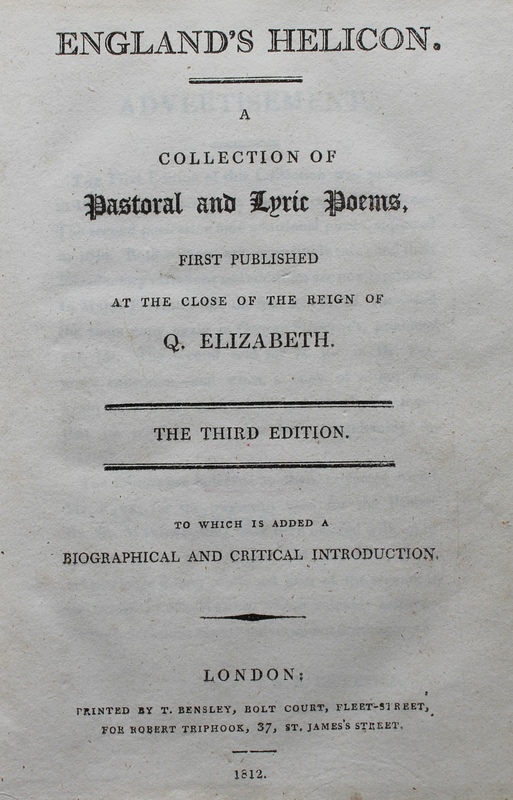 While his library included the First, Second and Fourth Folios of Shakespeare’s plays – as well as later editions – it is interesting that this is the edition he decided to present to his daughter, who recorded the gift on the fly-leaf of all eight volumes: “Mary Ann Eliz.th Thackeray the gift of her father”. But this is perhaps more a reflection on the times than on Thackeray himself. 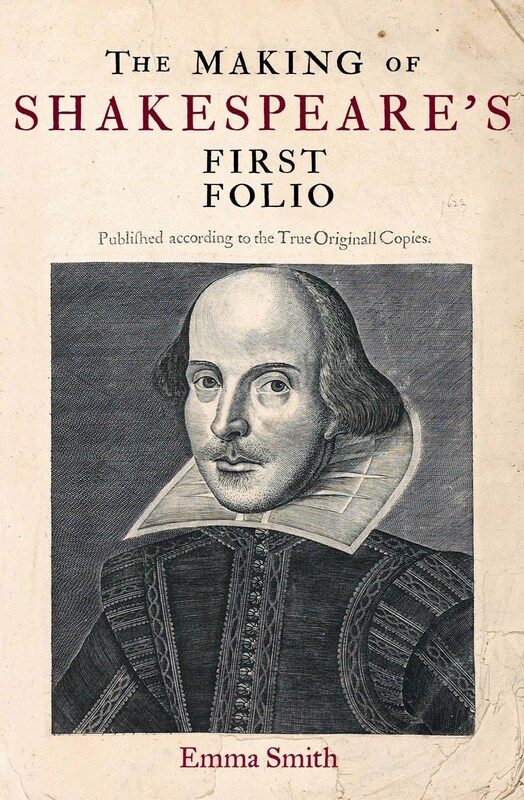 This year is the quatercentenary of the death of William Shakespeare (1654–1616) and events are being held worldwide to celebrate the life and work of the UK’s most famous poet, playwright and actor, described by Ben Jonson as ‘not of an age, but for all time’. 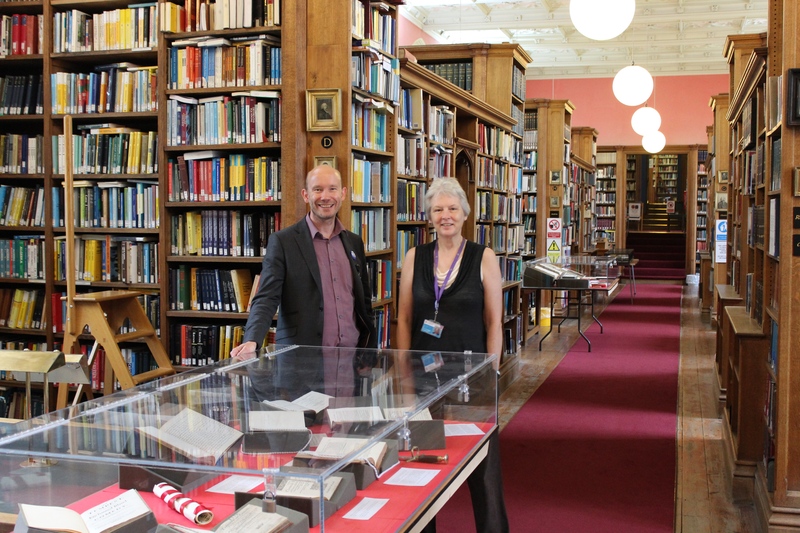 In this special year, thanks to a grant from the Heritage Lottery Fund, King’s College Library and Archives will be joining the festivities by hosting various events showcasing many of our rare book and archive treasures. 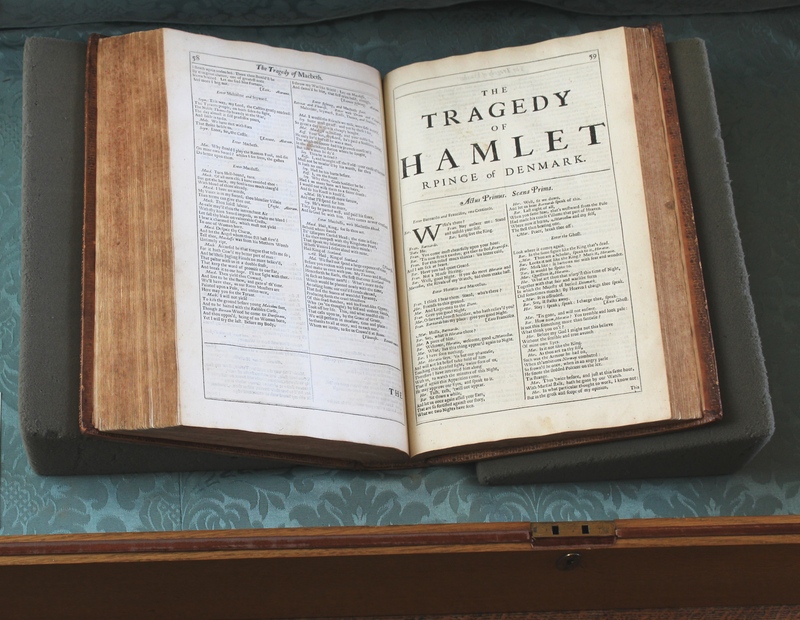 Our first event is an exhibition celebrating Shakespeare and theatre in Cambridge which will be running until the end of August. 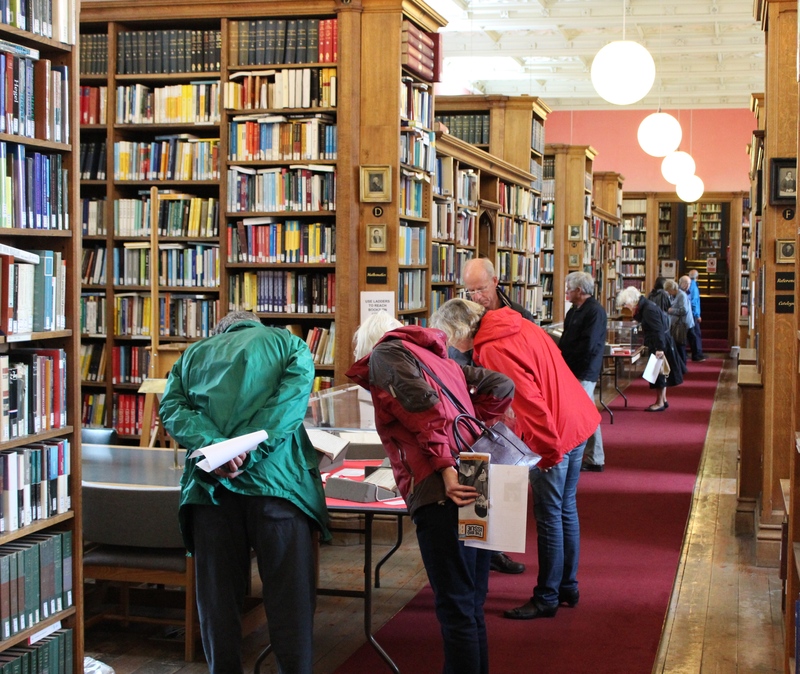 This free exhibition is open to all and can be viewed between 2pm and 5pm Monday to Friday in King’s College’s beautiful early nineteenth-century library. 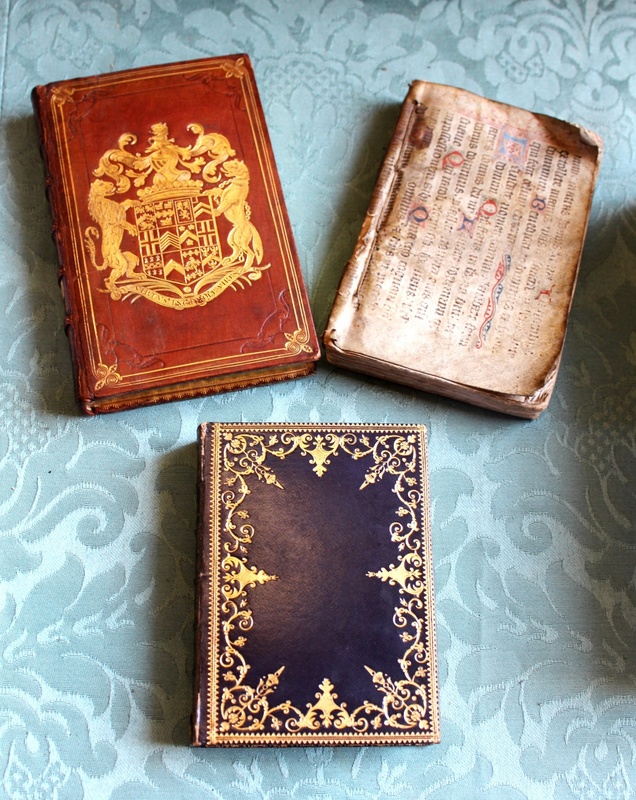 If you would like to see some early editions of Shakespeare’s plays as well as some archival treasures, why not pop in and see us when you are in town. 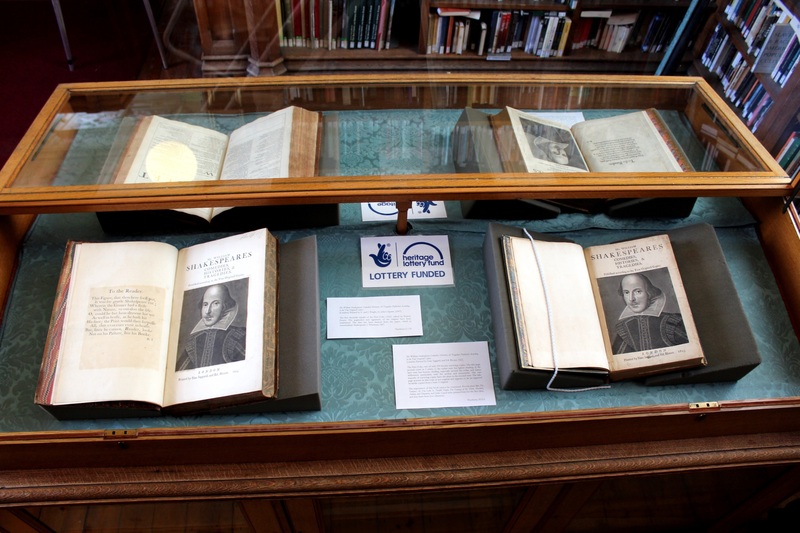 Upon arrival at the front gate of King’s College speak to the Visitor Guide on duty and tell them that you are visiting the Library’s Shakespeare exhibition. They will direct you to the College Library. 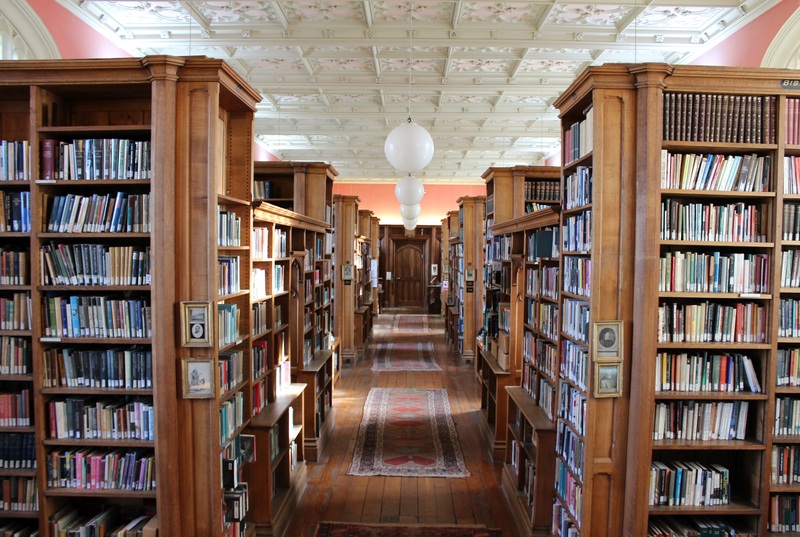 When you reach the Library, simply press the buzzer on the main door and one of the Library team will let you in and welcome you to the Library. 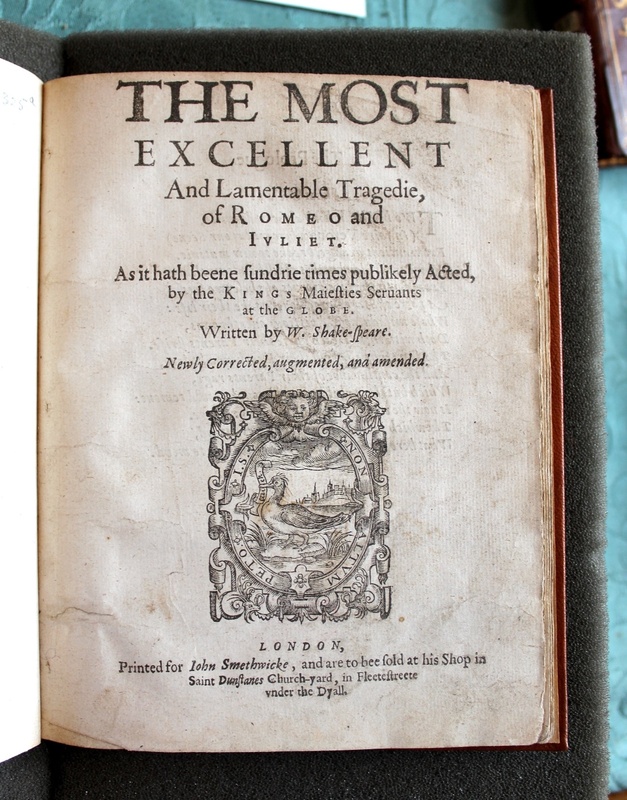 Another Portrait of Mr. W. H.
As we’re marking the 400th anniversary of Shakespeare’s death, this book from the Keynes Bequest could not be more topical. 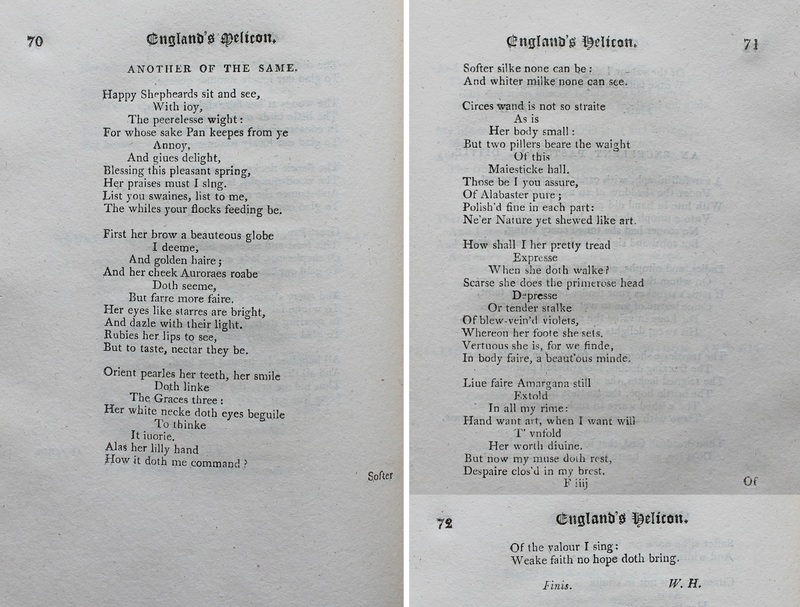 England’s Helicon, an anthology of Elizabethan poems first printed in 1600, includes contributions by Christopher Marlowe, Sir Walter Raleigh, William Shakespeare, Sir Philip Sidney and Edmund Spenser. 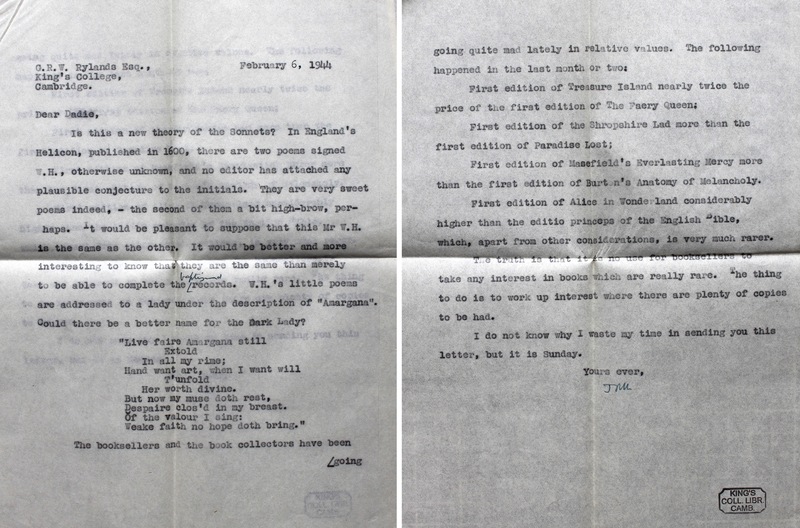 In an 1812 reprint of the third edition (1614) is the carbon copy of a letter from John Maynard Keynes to Dadie Rylands dated 6 February 1944 and initialled in ink by Keynes. 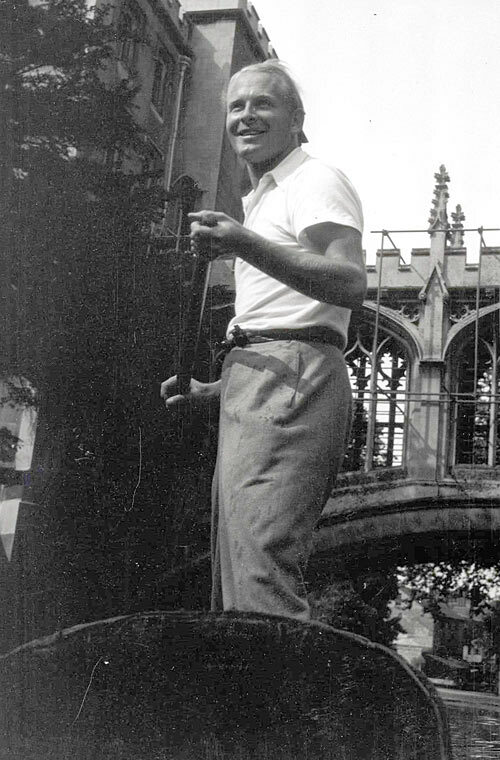 Rylands was a Fellow at King’s and a noted Shakespeare scholar who also directed several plays for the Marlowe Society and acted as chairman of the Cambridge Arts Theatre between 1946 and 1982. 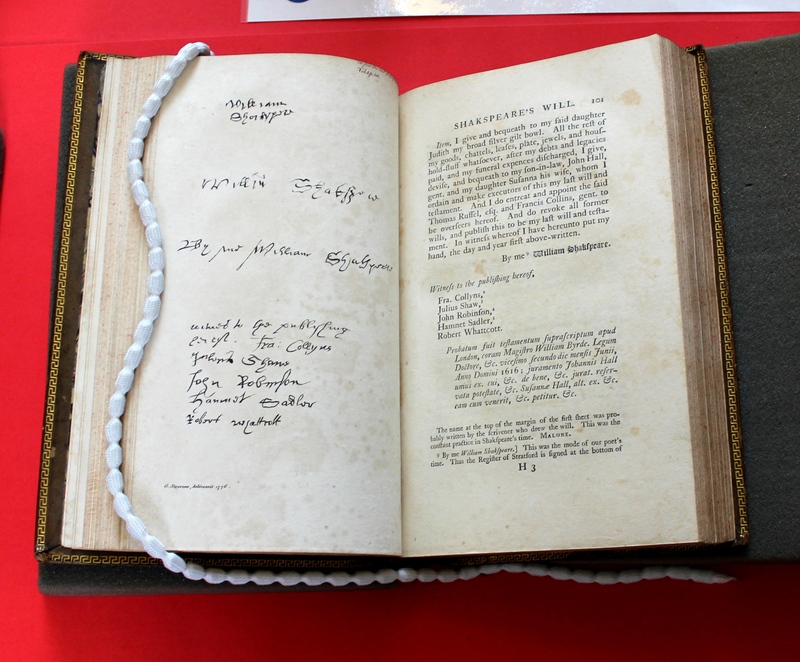 Keynes writes: “Is this a new theory of the Sonnets? 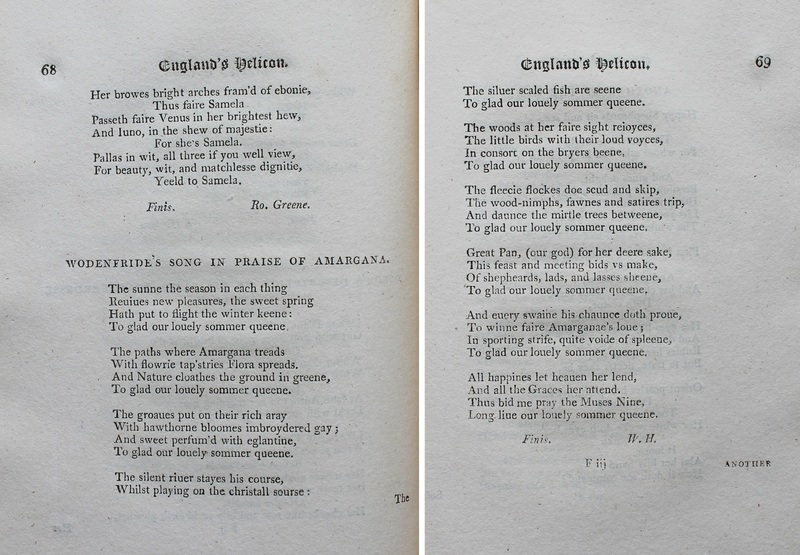 In England’s Helicon, published in 1600, there are two poems signed W. H., otherwise unknown, and no editor has attached any plausible conjecture to the initials. […] It would be pleasant to suppose that this Mr. W. H. is the same as the other”. 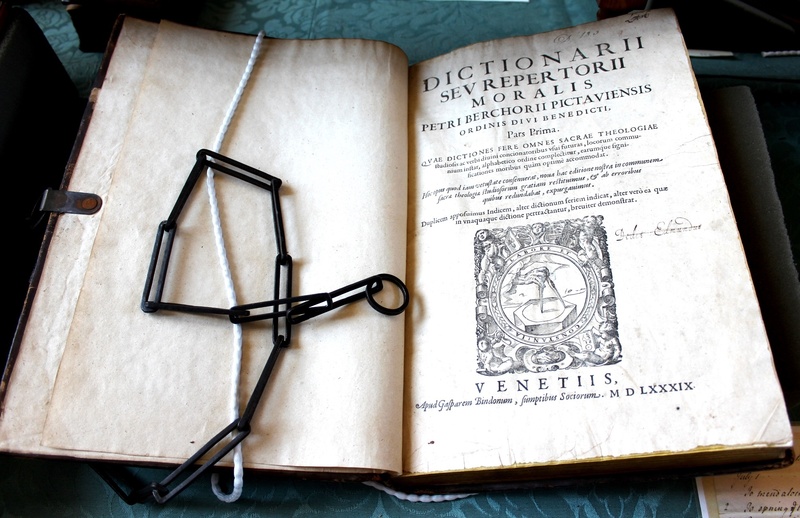 The first 126 of Shakespeare’s Sonnets (1609) are addressed to a “fair youth”, and the whole work is dedicated to a certain “Mr. W. H.”. 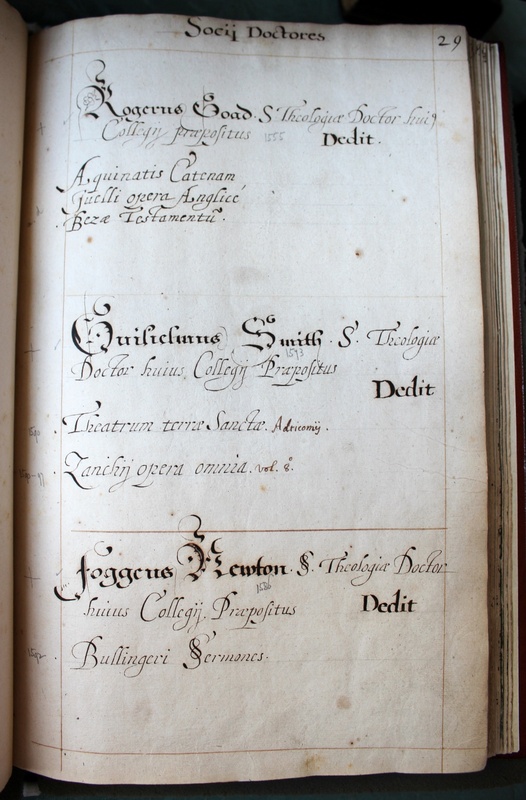 The identity of the dedicatee remains a mystery, and possible contenders include Shakespeare’s patrons, Henry Wriothesley, 3rd Earl of Southampton (1573-1624), and William Herbert, 3rd Earl of Pembroke (1580-1630). Keynes seems to have failed to check the “Index of the Names of Authors” at the beginning of the book, where W. H. is tentatively identified as “Wm. 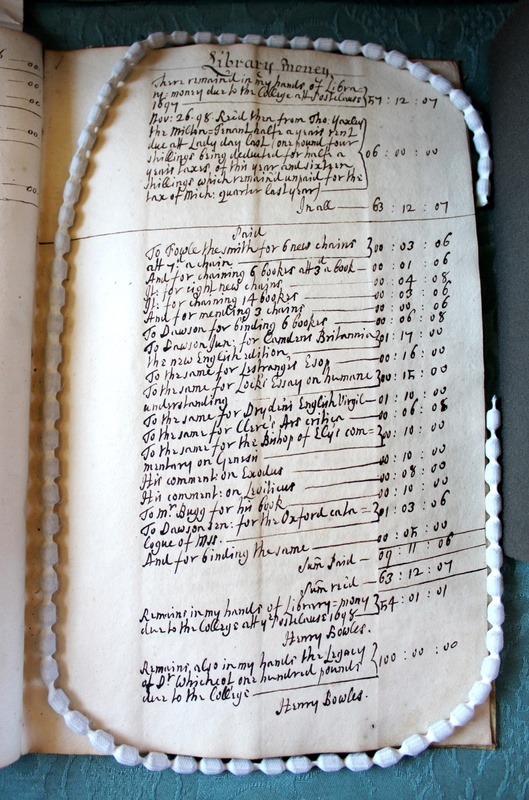 Hunnis?” The editors, S. E. Brydges and Joseph Haslewood, state in the biographical notice of W. H.: “I recollect no writer to whom these initials may apply, unless William Hunnis, who seems to have lived too early to have been a contributor to this volume. […] Qu.? 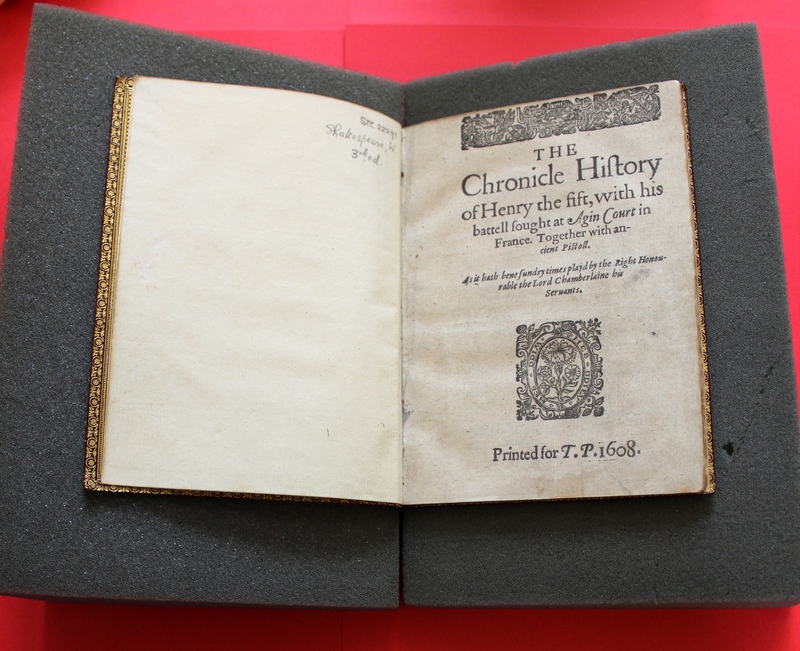 William Herbert?” The poet William Hunnis, who died in 1597 and could have therefore known Shakespeare, was in the service of William Herbert, 1st Earl of Pembroke (1501-1570) and grandfather of Shakespeare’s patron, the 3rd Earl of Pembroke. 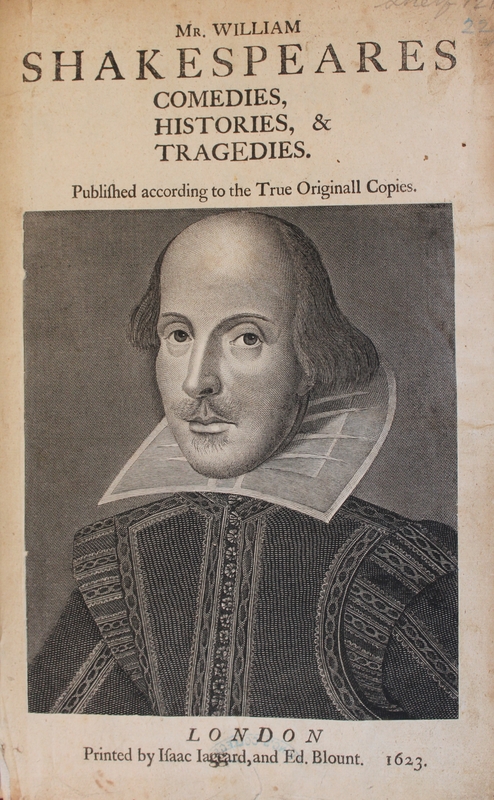 So there is a connection with Shakespeare there, albeit a tenuous one. 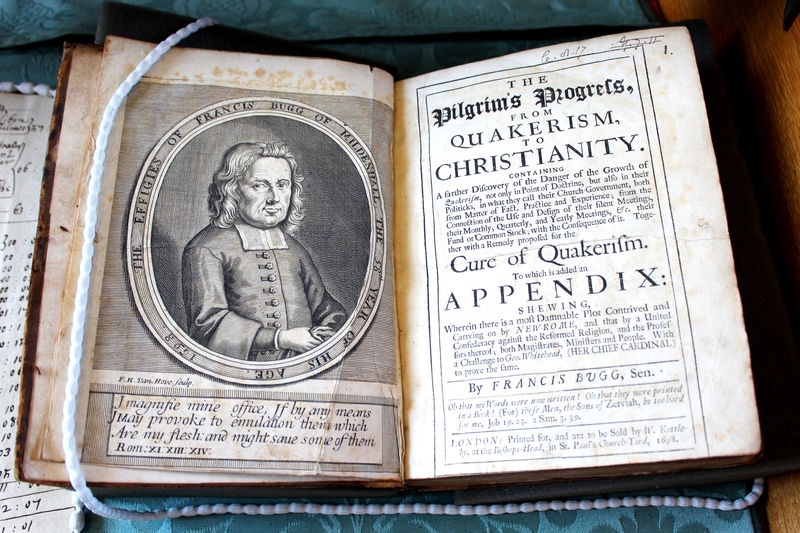 As shown in a previous post on James Howell’s Epistolae Ho-Elianae (1645), Keynes’s book collecting was not merely a matter of accumulating items, as he actively engaged with the issues raised in these works and shared his ideas, thoughts and opinions with friends. But going back to his original question. 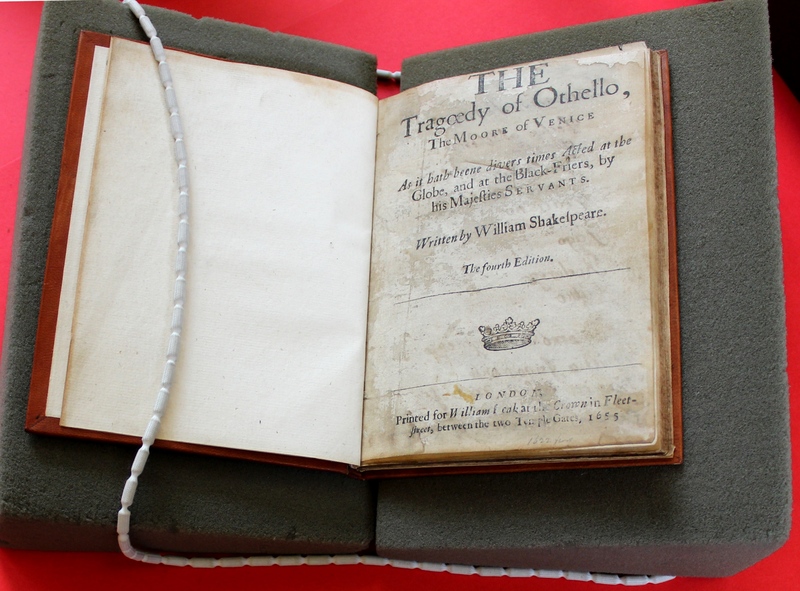 Could the W. H. in England’s Helicon really be the mysterious dedicatee of Shakespeare’s Sonnets? 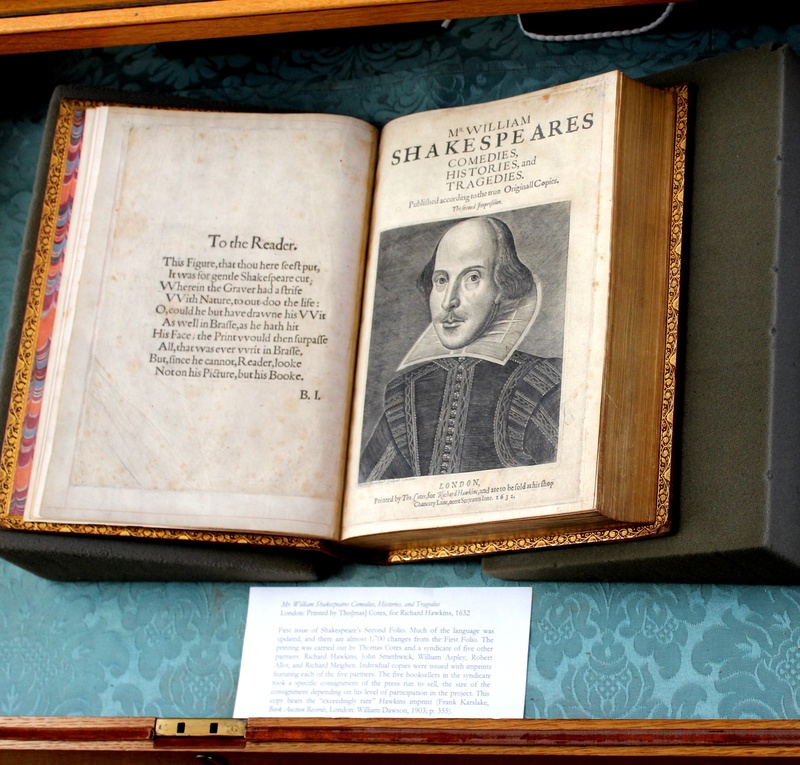 Over to Shakespeare scholars.